Swietne, POLAND – Activists, anarchists and Catholics, Greens and conservatives, Poles and foreigners – they all came together to this village in central Poland to become the first Climate Camp ever held in Poland. 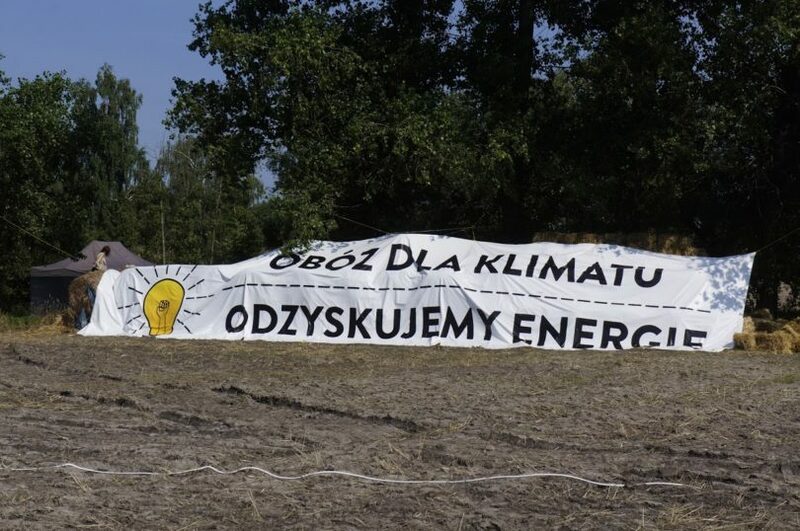 Those who initiated Climate Camp – in Polish, that’s Oboz dla Klimatu – are an informal group of activists who wanted to bring people together to share knowledge and skills for acting against climate change and unjust social relations. 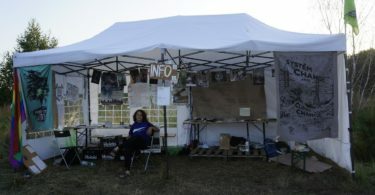 As a volunteer, I pitched in as the camp welcomed more than 500 visitors over a five-day period in July. 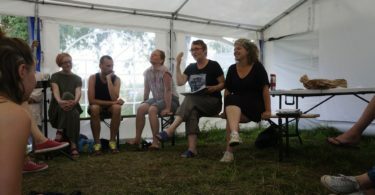 As the organizers aimed to make the camp accessible to all, there was no set price for participating. 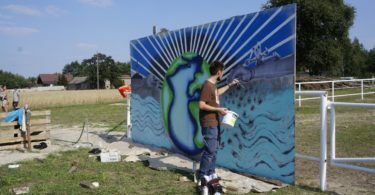 Volunteers did almost all the work, which lowered labor costs. We asked for food donations to help cover the cost of feeding people. Everyone was expected to help keep the things running smoothly as there were no paid staff. In this way, the camp could host as diverse a group of people as possible, from all parts of society. 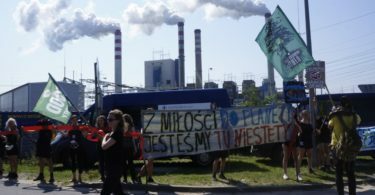 Organizers deliberately chose to locate the camp in Swietne, a small village located just 30 km north of the Patnow power station. 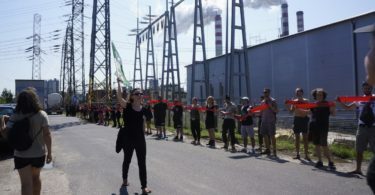 One of the three major coal power plants in the region, Patnow uses coal from open pit mines which are located directly in the neighboring areas. The operation has a significant effect on the region. The local economy – apart from mining – is based on agriculture and tourism, but those industries are threatened by the ongoing expansion of mines. There are a number of lakes which attract lots of holidaymakers, yet they’re disappearing. 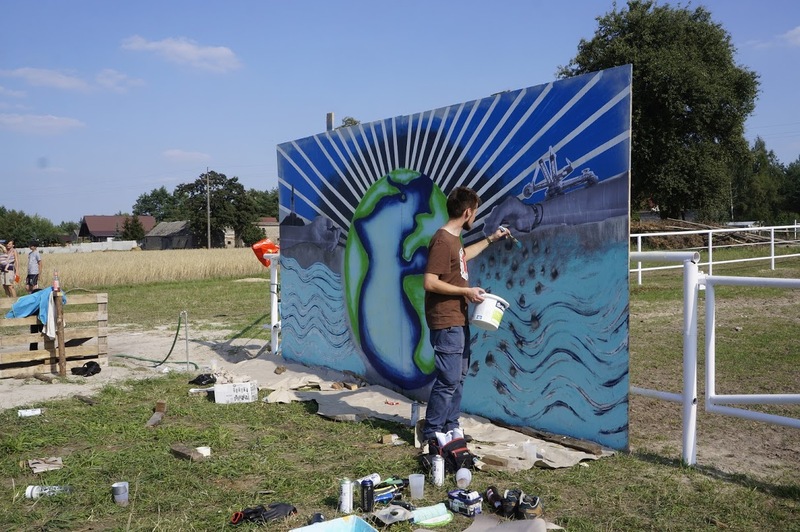 Local activists are concerned about the water levels in the two lakes that surround Swietne because, they say, the water levels have dropped by three and five meters, and other lakes in the Wielkopolska area, where Swietne is, have entirely dried up. Environmental activists say the lakes are drying because digging deeper to reach for coal, even 40-60 meters into the Earth’s surface, creates depression cones which lead to water flowing underground from lakes into the open pits. This process also puts farms at risk of irrigation problems. 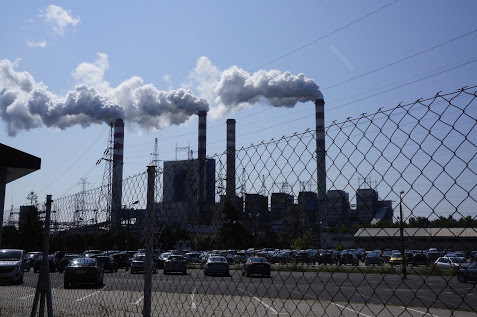 The burning coal also creates pollution, which adds to the negative impact as it can cause serious health hazards for local residents. 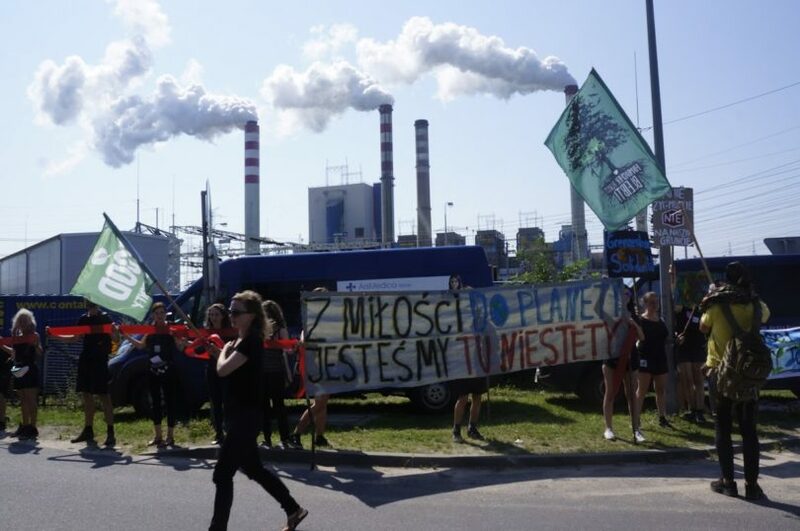 However, Swietne is not the only village heavily affected by Polish coal-based energy policy. 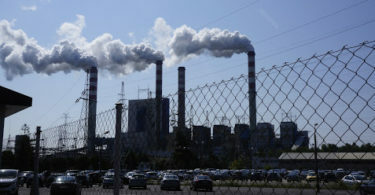 Much of the country is feeling the effect of this highly inefficient and destructive industry. 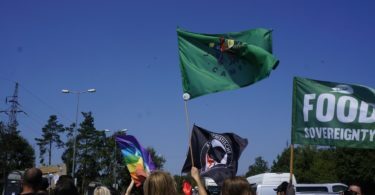 That’s why I was happy to find out about the Climate Camp, and I decided to document it. 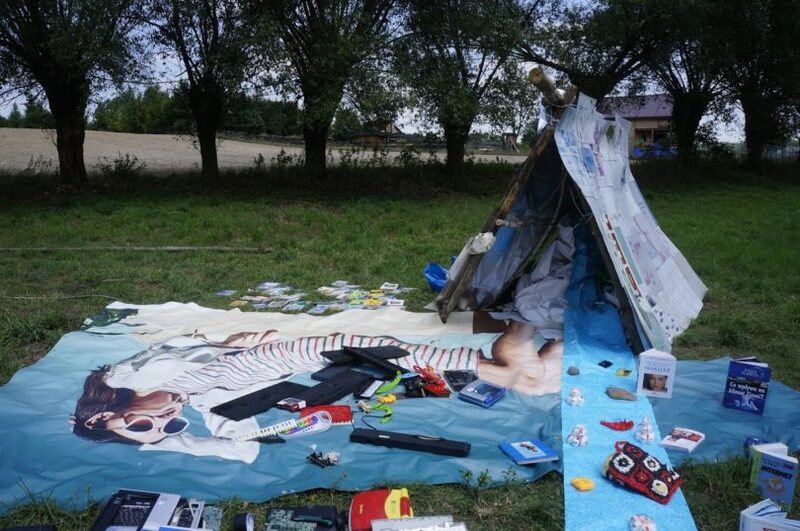 The camp was terrific. Seeing so many like-minded people in one place was a blissful yet bizarre experience. 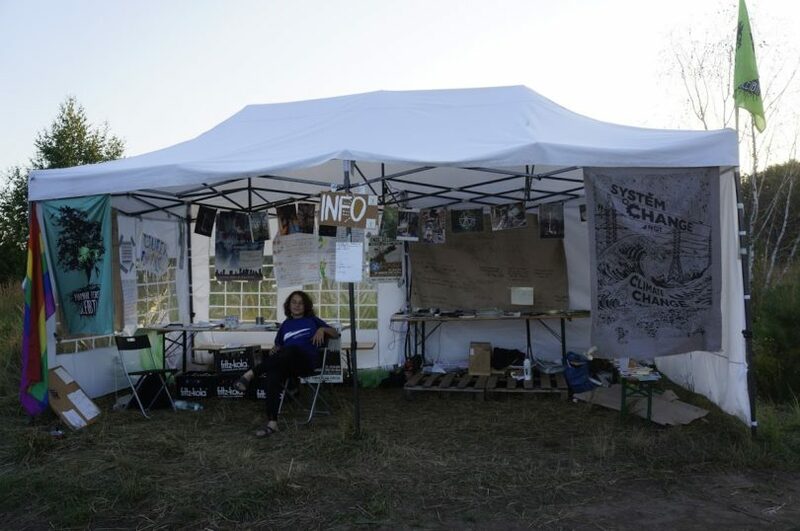 Though mostly Poles, the camp also attracted quite a big group of visitors from abroad, mainly citizens from the Czech Republic, Colombia, Germany, and Spain who’ve struggled with similar issues in their own countries and came to support us and share their experience with others. I also met people who are involved in the environmental movement that I had read about and admired. 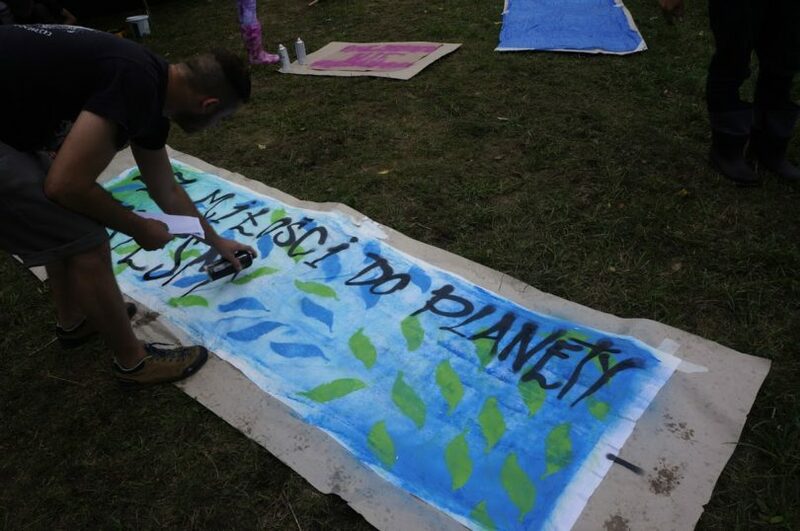 Two of those I found most inspiring were Dariusz Szwed, former leader of Polish Greens and advisor to the president of Slupsk, the greenest city in Poland, and Ben Lazar, a Polish permaculture expert. 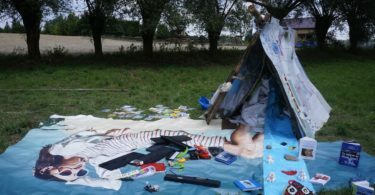 I felt a real sense of community within the camp. We were united in our desire to change things in the world and make it a better, fairer, cleaner place. We learned from each other and discussed big issues. But we also shared our own know-how about small, focused actions. 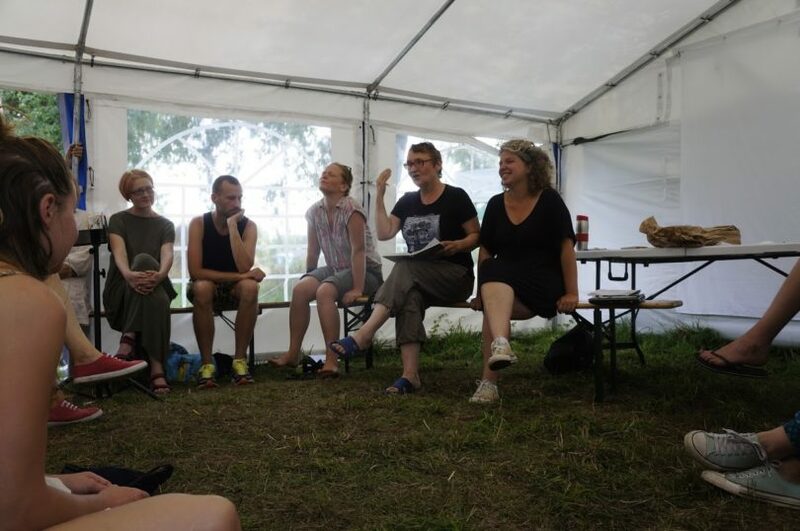 Among other things, campers could take part in a debate “capitalism vs climate,” take a trip to the local coal mine or a talk about post-growth and climate justice. 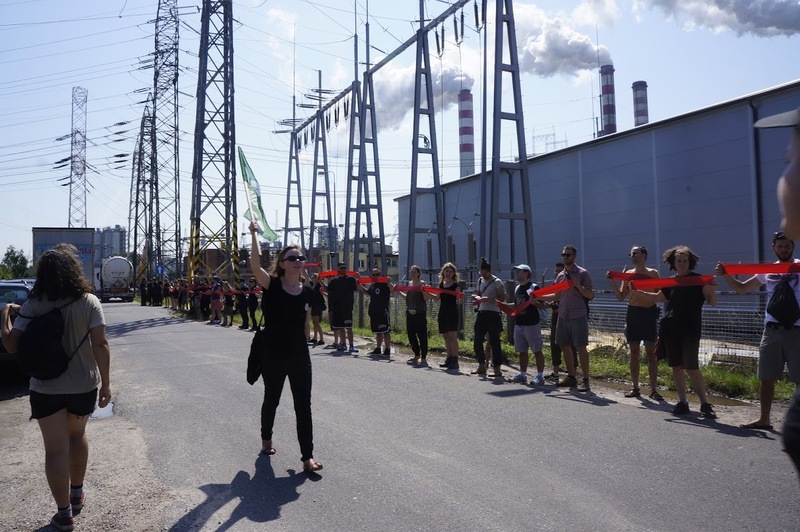 On one of the days, everyone who wanted took part in a peaceful demonstration in front of the Konin coal power plant. 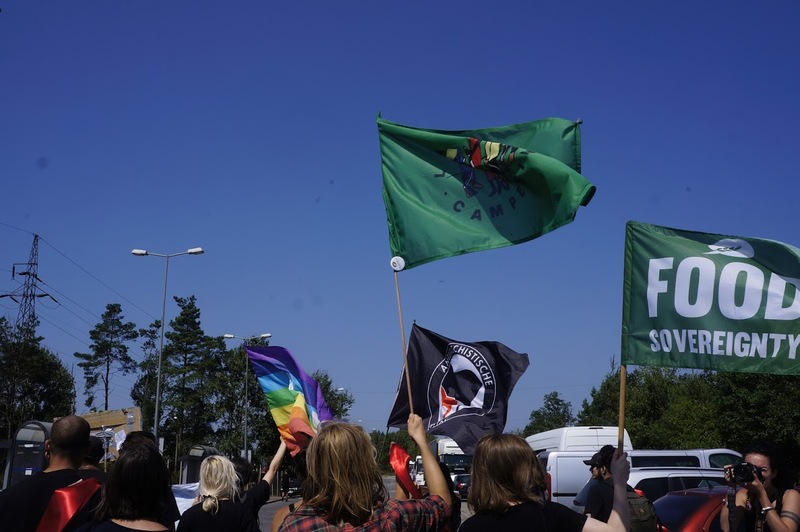 Protesters held placards and banners made the day before and shouted slogans urging the local decision-makers to rethink their actions. 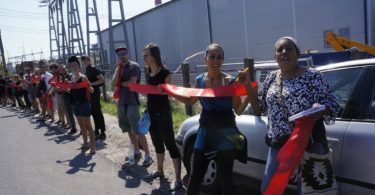 They formed a “red line” with a ribbon, symbolizing resistance and dissent. 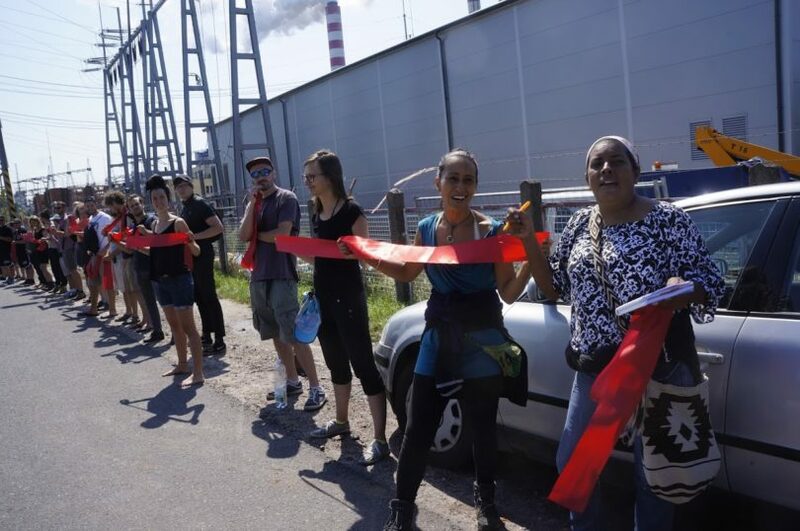 Being part of the camp was a great experience that allowed me to learn about new ways to act upon injustice and environmental degradation. 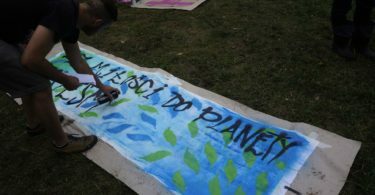 I also made other connections that will allow me to do more environmental activism in my country. As a person passionate about the environment, I felt enormous joy in meeting so many like-minded people and having five days just to learn more about acting against climate injustice. I sensed that we were uniting at last and getting stronger. 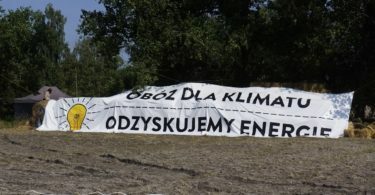 I hope the people who took part in this camp will help move Poland closer to coal divestment. Joanna Koter is a Senior Reporter with Youth Journalism International.